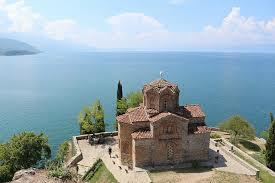 Cheaper car hire for Macedonia | Compare lower cost Estate, Minivan, SUV & MPV Rental. Gett car hire savings in the Republic of Macedonia. You will find a good range of vehicles and savings at places like Skopje Airport. We can help you save on the usual prices of such known car hire companies as:- Alamo, Avis, Budget, Circular, Europcar, Hertz, Sixt and Yes. Fuel Policy:- All our suppliers are a get full and return full. In Macedonia we can offer you economy, compact, saloon, SUV and minivans to seat 9 passengers. Although not on the Mediterranean, being above the north east corner of Greece and east of Albania and west of Bulgaria, it does benefit with the climate, as winters are not too bad. You will need some Macedonian Denar on your travels, the currency code of which is MKD. Give the the Macedonians a call, by using +389 before their local number, but brush up on your Macedonian language first. When you do go and visit, the towns, the national parks and scenic countryside provide plenty of things for the tourist to do. Skopje International Airport is the main airport and also goes by the name of Alexander the Great Airport, is about ten miles outside the city. The IATA code is SKP, so do not confuse with the other airport. Good quality and service for a motorcar in Macedonia. Compare our Macedonia SUV, MPV and saloon rental. Save on seven seater minivan prices in Macedonia. There are two main mountain ranges here called the Sar and the Dinaric.Mount Korab is the tallest mountain, then the Sar. 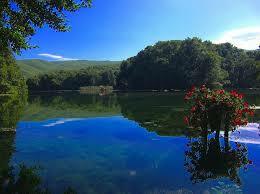 Ohrid, Dorjan and Prespa are the three largest and best known lakes. The main river is the Vardar. Two lots of mountain ranges and a valley dominate the country. The main industries are tobacco, agriculture, clothing and metals. Did You Know? - Became independent from the old Yugoslavia in 1993. 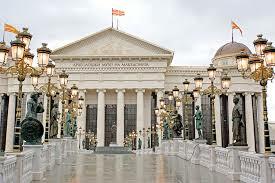 Parts of Greece and Bulgaria are also referred to as Macedonia, as Macedonia is also used to refer to a region in that part of the world, which also includes snippets of land in Albania, Serbia and Kosovo, which are not part of the Republic of Macedonia. Confusing, what? What Sports Are Played? :- Take a moment and guess? If you said football, then maximum points. Handball and basketball are also popular.You can also ski here in the winter months. Orthodox Christian is the main faith for a lot of people. Over two million people reside here. Want European car rental elsewhere, like Austria?